Kelly started her riding career at the age of 5. She has been with us since 2010. 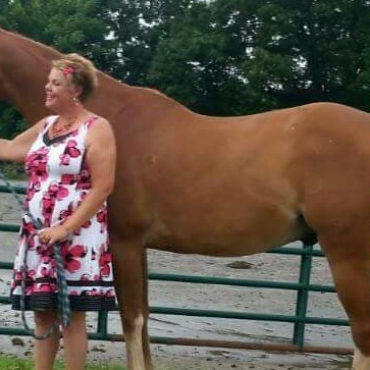 She has many years of riding experience, teaching and training horses. She believes in the balance of horse and rider. She incorporates basic dressage in her lessons for a balanced horse and rider. Whether you are starting out, looking to compete, or want to get back into riding she will help you obtain your goal.